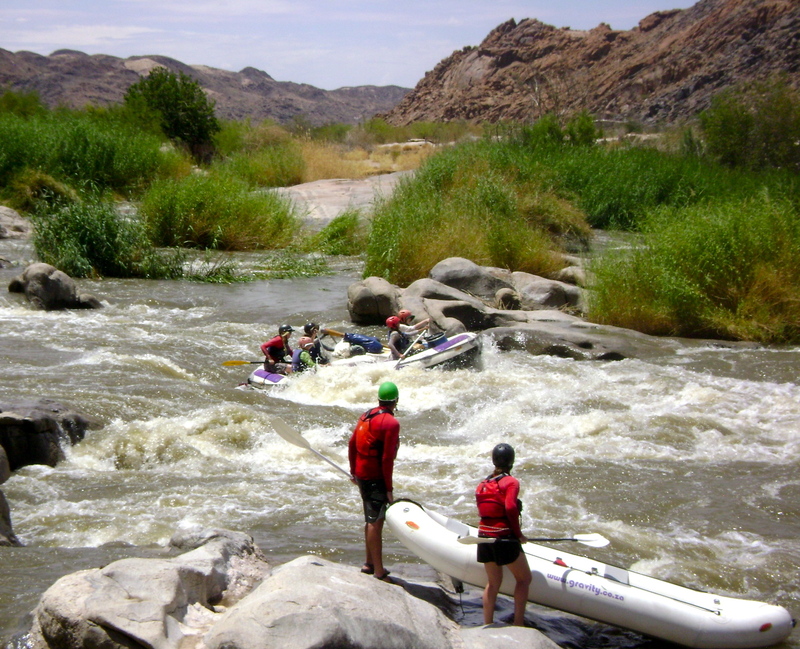 Orange River – All Season, All Terrain. Looking over the Orange River valley at sunrise. the boundary line between Namibia & South Africa. 100 kilometers in the middle of the desert, a place known as “Onseepkans”. heard rummaging through the campground in and around the peaceful sleepers. and abseiling the boats down a cliff and into the gorge. 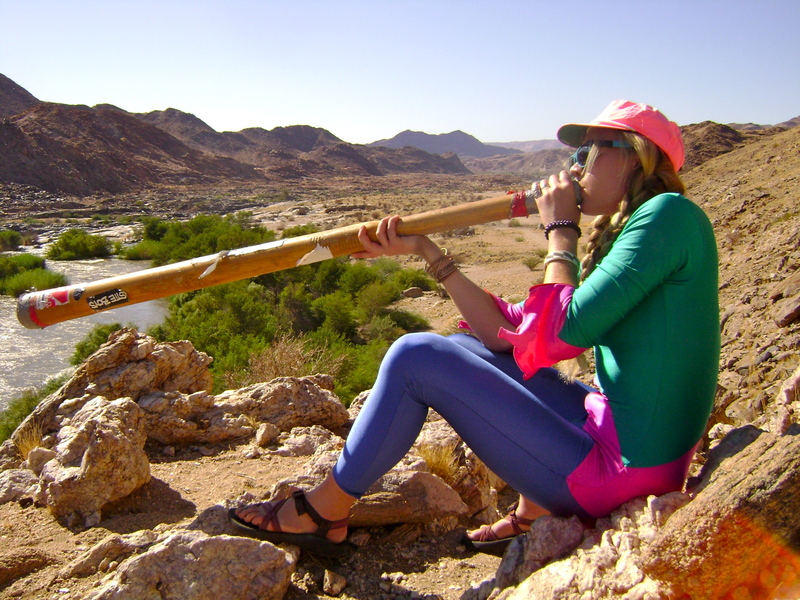 Mandela Plays the didjeridu on the banks of the Orange River. two when the moon was out and the fire was burning. level run with clients was broken by these expeditions. gorge. The raft was the only craft sent over the rocky drop with a person inside. held it against the strong flow of water. of water and that it is hard to guess the outcome in an uncontrolled environment. murky water to cracked parched lips. a circle wetting their dry lips with a single bottle of cooking brandy. condition she sent me to get seven stitches from her colleague in Poffadder. 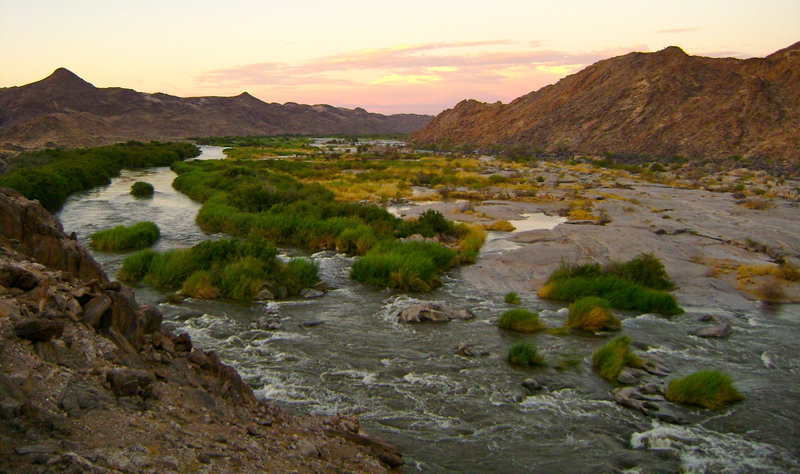 expeditions of the upper Orange River at flood level. 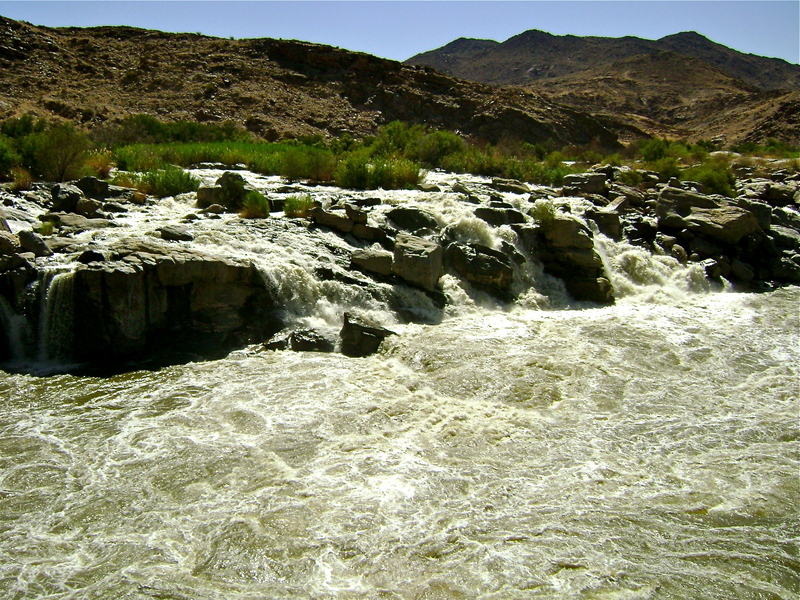 Water rushes over rocks on the Orange River, South Africa. passed through the barren landscape like a horse with no name. young “bushman” from the deserts of the northern cape. they watched us unload the gear out of the truck and carry it to the river’s edge. the sun is harsh. A passing tractor from the 1960s rescued the lorry truck. Consequently we put on the river late. an endless obstacle course in and around submerged trees and broad reeds. unfortunately there was nowhere else to camp. clients during the thunder and anticipation of rain. Within 15 minutes there were streams running under and around the tents. higher than the water level. By 3am it was over. jungle. My gut instinct was correct; there’s always adventure to be had in Africa. Thanks for sharing Mandy… Your pictures and words make it very vivid.